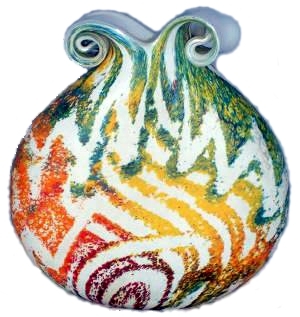 Jazz globe vase, 20 cm diameter with the typical broad red-coloured rim. 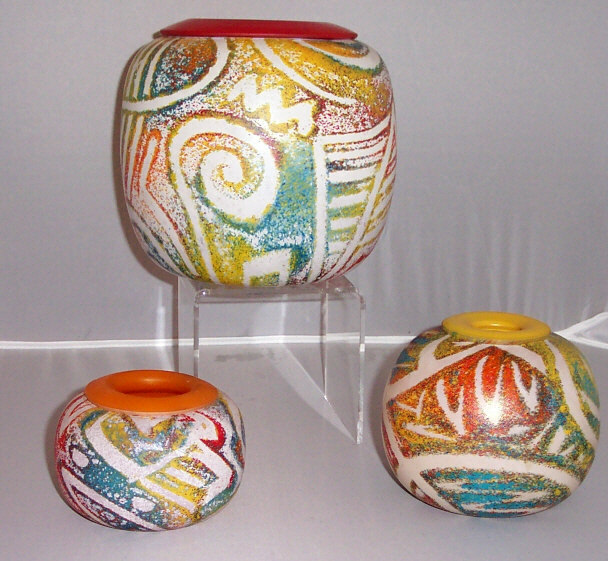 As can be seen, the globe vase came in three sizes: 10, 15 and 20 cm in diameter. 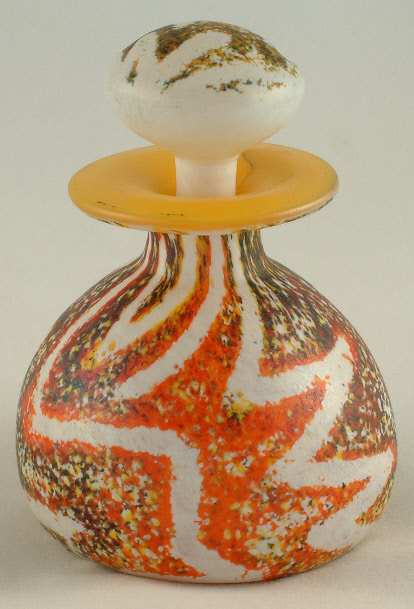 Perfume bottle with a semi-globe shaped base, 7.5 cm tall, 5 cm wide at the base. 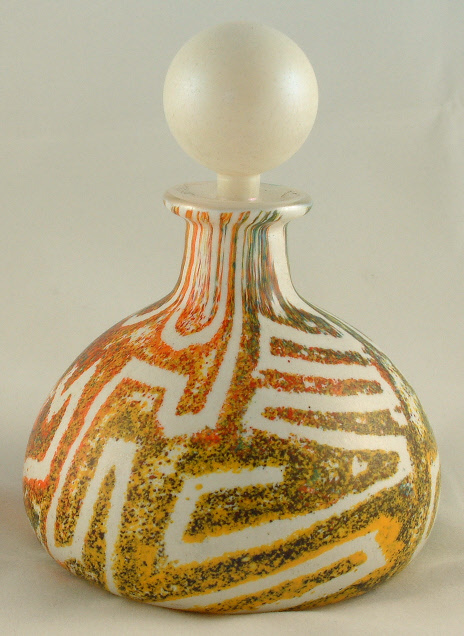 Perfume bottle with a semi-globe shaped base, 12 cm tall, 9 cm wide at the base. 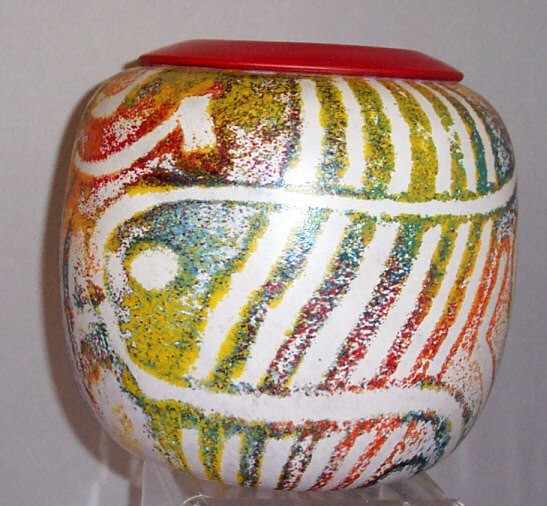 Small vase with scrolled top, 11 cm high, 10.5 cm wide. 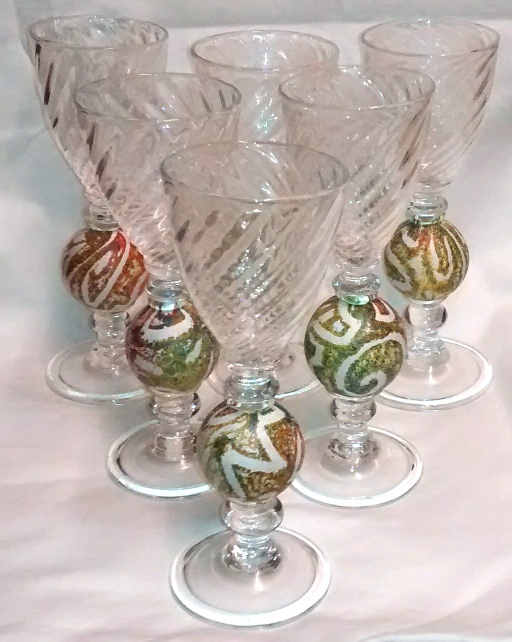 Set of six Jazz wine glasses, 18 cm tall, 6.5-7 cm wide bowl. All signed 'Timothy Harris IOW England'.